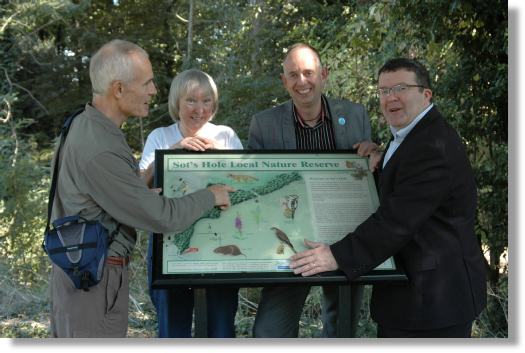 In October 2006, The Friends of Sot’s Hole were awarded a grant of almost £10,000 by the Lottery’s Breathing Places Scheme. This was a big boost to the group who will benefit from a range of training courses, new tools and professional advice on managing the reserve. They will be working with a local artist to improve the entrance to Sot’s Hole, through a series of workshops with local schools and other groups. Early in 2007, the Friends of Sot’s Hole submitted two further funding applications to Breathing Places Scheme and to a Landfill Tax body, WREN. In total, almost £25,000 is being sought to make improvements to the site’s access and wildlife. Following our successful funding applications during 2007 much improvement work has begun in Sot's Hole. Some trees have been removed opening up the canopy significantly, work has begun on a dipping pool' and plans for the new entrance have been consulted upon and approved. In the spring of 2008 the impressive new entrance should be completed, later we plan to improve the footpath and continue work to control weeds, replant areas and further enhance the pool. A display board about Sot's Hole is touring local libraries and community halls. Summer 2008. The new entrance gate is now in place and the path improvement has been completed, this brings to a close the current round of major works however there is still much to be done. In addition to ongoing maintenance of the area for the benefit of the wildlife and public alike we have many plans for the further enhancement of Sots Hole, funding is currently being sort for this exciting work. September 2008. The Friends of Sots Hole (represented by Peter Ward & Valerie Edkins) were pleased to show John Taylor of the Big lottery Fund and our local Member of Parliament, Tom Watson MP the results of our fundraising and the improvements made so far. Peter Ward, Valerie Edkins, John Taylor and Tom Watson M.P. The stream nearer to the golf course has been cleared of brambles and general debris, it is hoped that this will encourage Water Voles. The Poplar tree which was in a dangerous condition has been felled and cut up. The oldest steps have been removed, it is hoped that with funding these will be replaced. As they will lead up to the new school two new gates are to be installed so that access to the wood can be obtained by school children. One gate will lead into the plantation from the school the other into Sots Hole. The sluice has been repaired and is holding water again. April 2009. 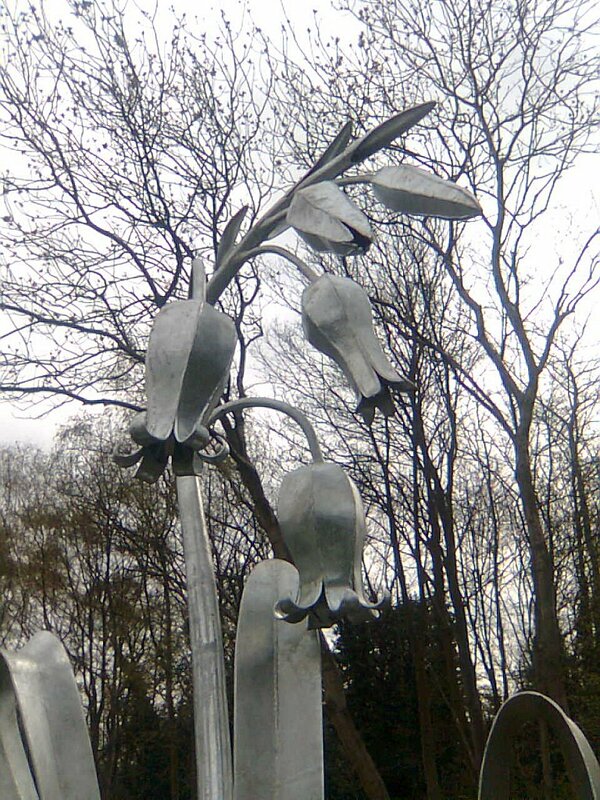 We are pleased to say that our Bluebell event held on 26th April was well attended and went well. Graham Jones (a local wood carving artist) has produced an attractive bench from a single piece of oak following work with local school children, this has been placed on the green at the front of Sot's Hole, facing the reserve. A place to rest and reflect following your walk. We have applied for funding for several projects including a circular footpath and way markers. June 2009. We have continued our efforts to control Japanese Knot Weed on the reserve, with the recent spraying it is now at it's lowest for some time. Bracken control should not be necessary this year due to the success of our efforts over the previous two years. On the Sunday 7th June we held an Open Day at Sot's Hole in association with BBC Breathing Places. We are sure that all of the many people that came had a interesting and enjoyable time despite the poor weather. 2010. A busy year. 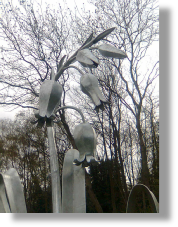 Work has began on a circular extension to the footpath and a series of sculpted way marker signs by Graham Jones. We extend our grateful thanks to Community Spaces for their funding of these and other projects. January 2011. 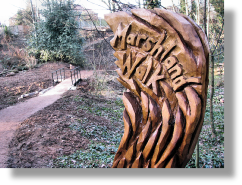 The new Marshland Walk path and bridge is now complete. This has really opened up the walking space which is further enhanced by the new oak way markers which are now installed. The infrastructure improvements to the reserve are now complete, there is further planting work needed and (as always) maintenance. We would like your help too, we are keen to hear from any volunteers who would like to help us with practical work at Sot's Hole. Please contact Sandwell MBC on 0121 553 0220. If you see, or know of, anybody fly-tipping or vandalising the area please inform the local police. March 2011. A new £250,000 adventure area has been proposed, subject to planning permission, for a spot near Park Farm in Sandwell Valley. Aimed at children from 5 to 13 it will be managed by Go Ape who run several simpler sites around the U.K. 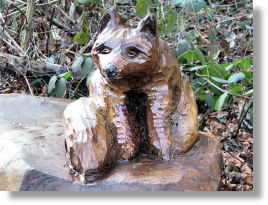 Unfortunately the fox carving (see picture) on the new bench produced by Graham Jones has been removed following it's recent vandal attack. The damage to and the up-rooting of way markers is being rectified. We extend our thanks to everyone who comes and enjoys this amenity without damaging it for others, with special thanks to those who positively contribute by litter collection or other voluntary acts. May 2011. 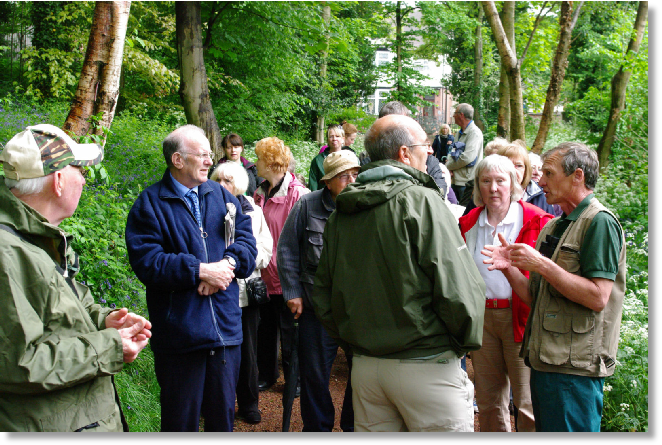 The Bluebell Walk around Sot's Hole on the 8th was well attended. All those present had an interesting and informative afternoon courtesy of the three guides from Sandnats to whom we owe a debt of thanks. This was our opportunity to showcase the recent improvements undertaken. October 2011. 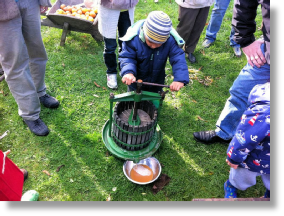 We held an Apple Day on the green near the entrance to Sot's Hole on Saturday 22nd. A fascinating time was had by the many people that attended. Over the winter we do not normally have planned events however Sot's Hole is a beautiful place to visit for a walk at any time of year, it is particularly magical when it snows. Nov 2011. Sot's Hole now has it's own Facebook page which is administered by the Friends of Sots Hole's secretary. Facebook pages become populated with information over time, currently there is not much to see but we hope that over time it will become a useful and information rich resource. 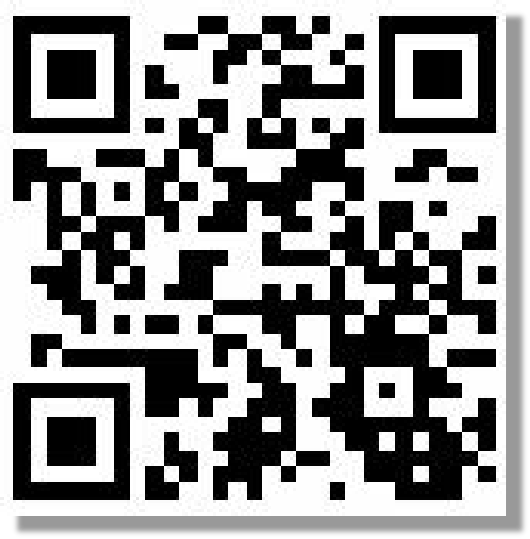 Click here to go there now and 'Like' us. 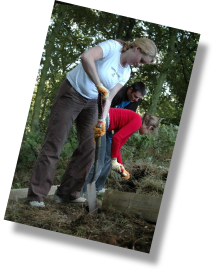 We are again seeking volunteers for a work session at the reserve consisting of planting and clearing, if you would like to help please contact Jo Miskin, Projects and Community Liaison Officer, Sandwell MBC on 0121 553 0220. 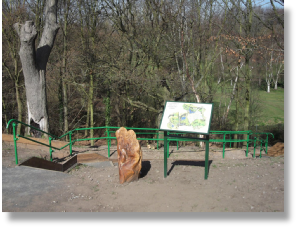 Plans are being made for new trees to be planted on the escarpment adjoining Temple Meadows and for a new flight of steps to Sot's Hole from the higher level of Sandwell Valley. These steps will have a shallower incline than the existing flight and will incorporate a hand rail and resting landings which should offer greater access by those less able bodied. March 2012. The Bluebell leaves are showing themselves with the promise of another great display soon. 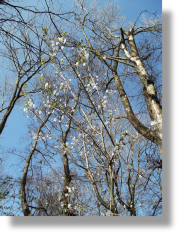 Most of the deciduas trees are yet to come into leaf but some already have and there is even some blossom. The impressive birdsong and the Mallard ducks on the pond underline the reserves wildlife roll and the number of visitors confirms the continued value of this area to the community. Feb 2012. 80 Hazel and 6 Oak saplings have been planted on the escarpment and bank with the help of FoSH volunteers, many thanks to everyone who attended. Spring 2012. 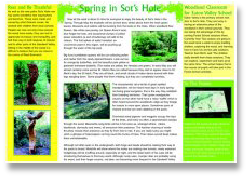 We have produced our first printed newsletter 'News from Sot's Hole - Spring 2012'. It is currently being distributed at Sandwell Valley Forge Farm and Park Farm Visitor Centre. Click HERE to view a .pdf version online. In December fifty small saplings were planted in the reserve by the NHS and volunteers. A tree survey of Sandwell Valley including Sot's Hole has been carried out. Sandnats will also be in the area conducting an ecological survey on May 11th and June 15th this year. Two Crack Willow trees in Sot's Hole are to be removed, sadly, due to wind damage. We are very pleased to have been awarded a £2,000 grant from 'Community First' which will help us in our continuing practical and promotional work. Our grateful thanks are extended to them for their help. Along with ongoing practical work and planning FoSH members spent a useful 3 hours removing brambles in the hope of encouraging the bluebells that are near the entrance to spread also ivy was removed from a few trees to enable the Sandwell tree surveyors to check the condition of the tree trunks for disease etc. It's a real joy to be in the reserve at this time of year. The area that was disturbed to install the back path is naturalising nicely.